A fan coil unit air conditioning system typically comprises of items such as type of system, external air intake terminals and air filters. 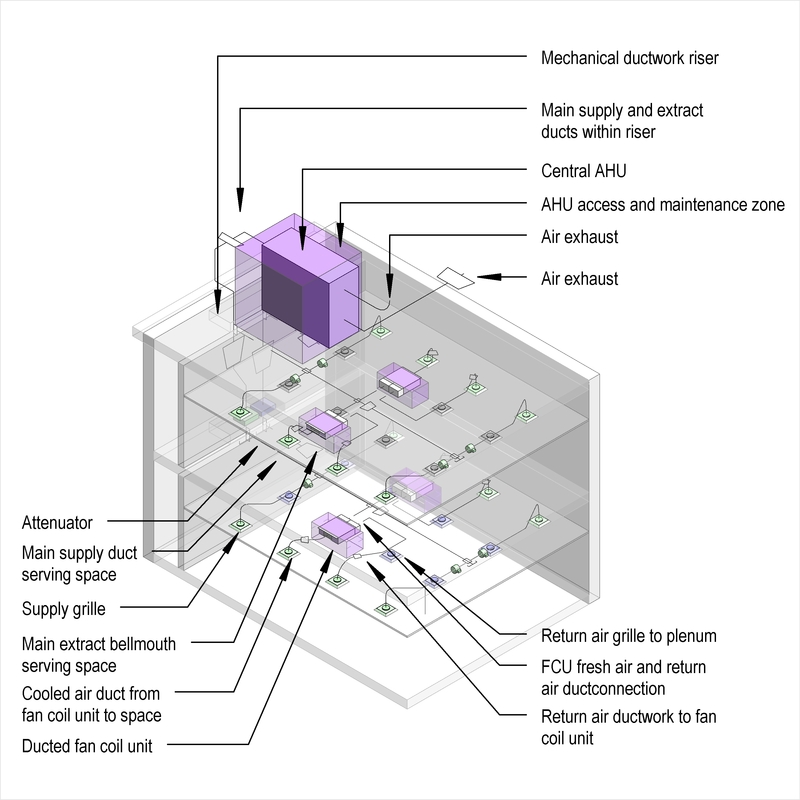 Complete this electronic spreadsheet to ensure that your Fan coil unit air conditioning systems product information meets the requirements of Level 2 BIM. This is important as it will enable your customers to select, specify and use your products within the BIM environment. Once you have completed this template you can host it on your own website or distribute it to your customers. Please note that we do not host completed product data templates within the BIM Toolkit. 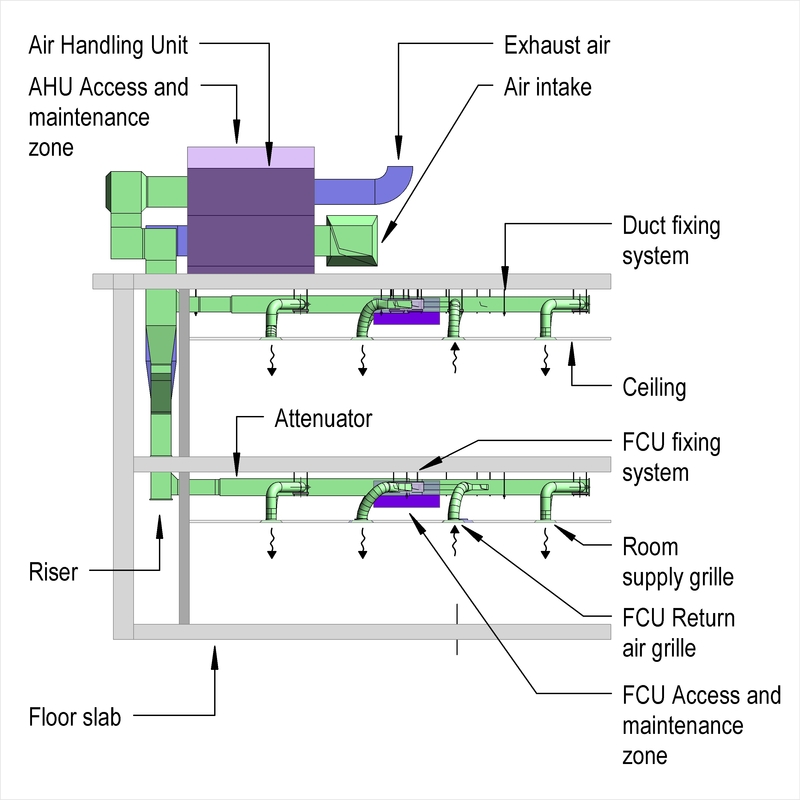 The above illustrations are for Fan coil unit air conditioning systems from the NBS section Air conditioning systems. This is indicative of the LOD requirements for Fan coil unit air conditioning systems. 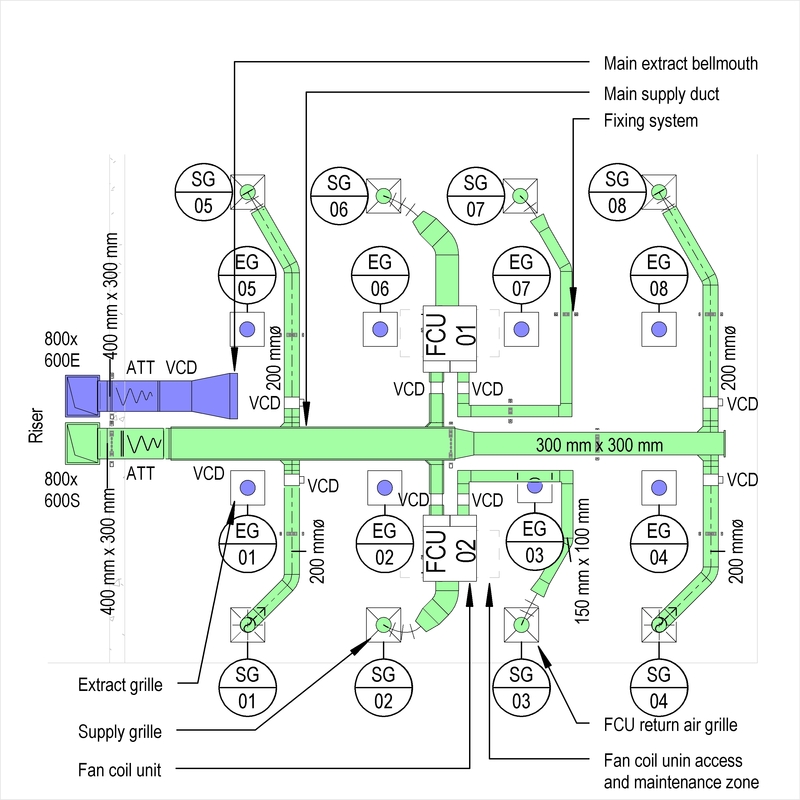 Design of air conditioning systems Design, Standard and Method. 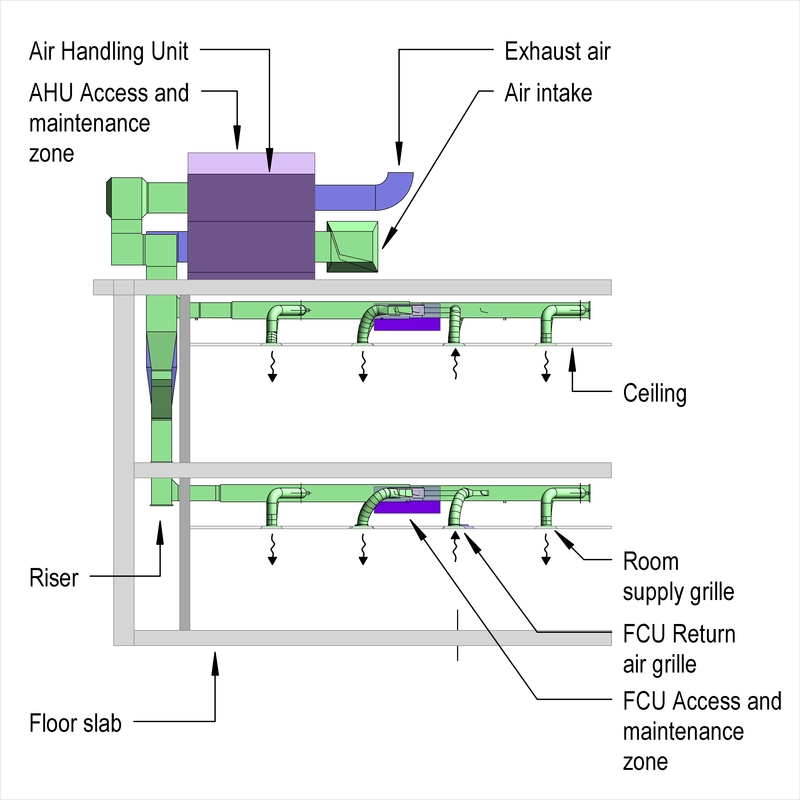 Air conditioning strategy issues Building location, Standard and Classification of outdoor air. Design parameters for air conditioning systems Summer external conditions, Winter external conditions and Internal data. 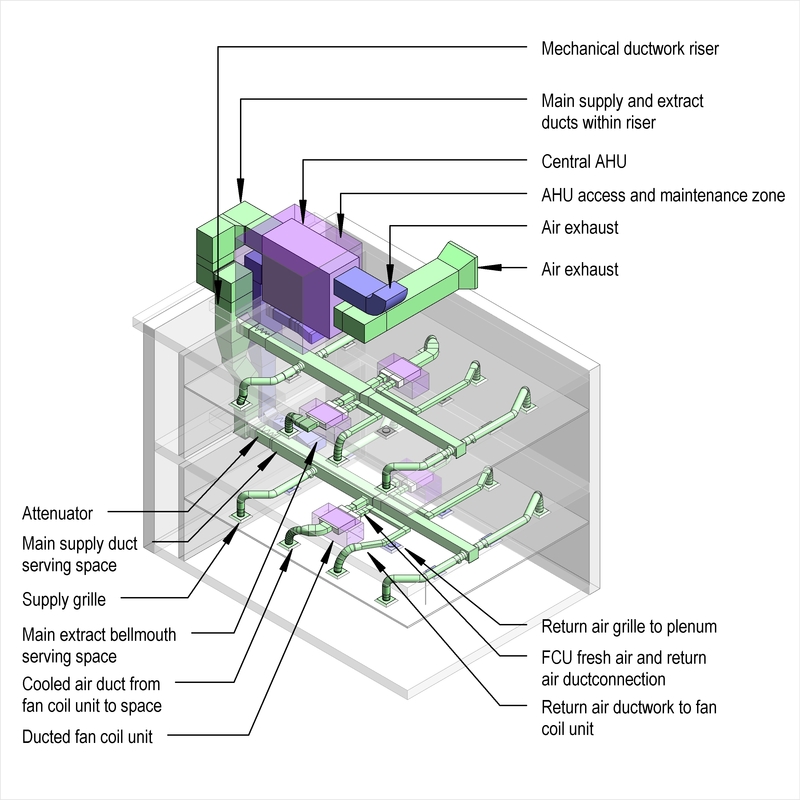 Ductwork design Air velocity and Ductwork cleaning. 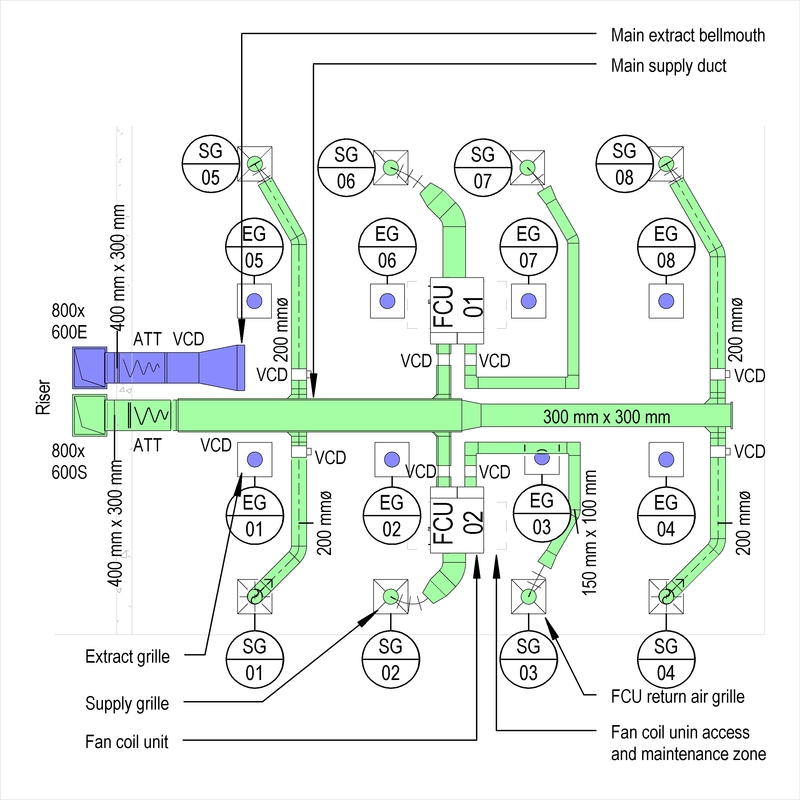 Fan performance Standard, Flow rate and System pressure. Variable duty fan performance Turn down ratio, Static pressure at full volume and Static pressure at minimum volume. Type of system The Type of system of the Fan coil unit air conditioning systems. External air intake terminals Products such as Aluminium louvre panel units. Air filters Products such as Supply air handling units. Heat recovery Products such as Supply air handling units. Humidifiers Products such as Supply air handling units. De-humidifiers Products such as Supply air handling units. 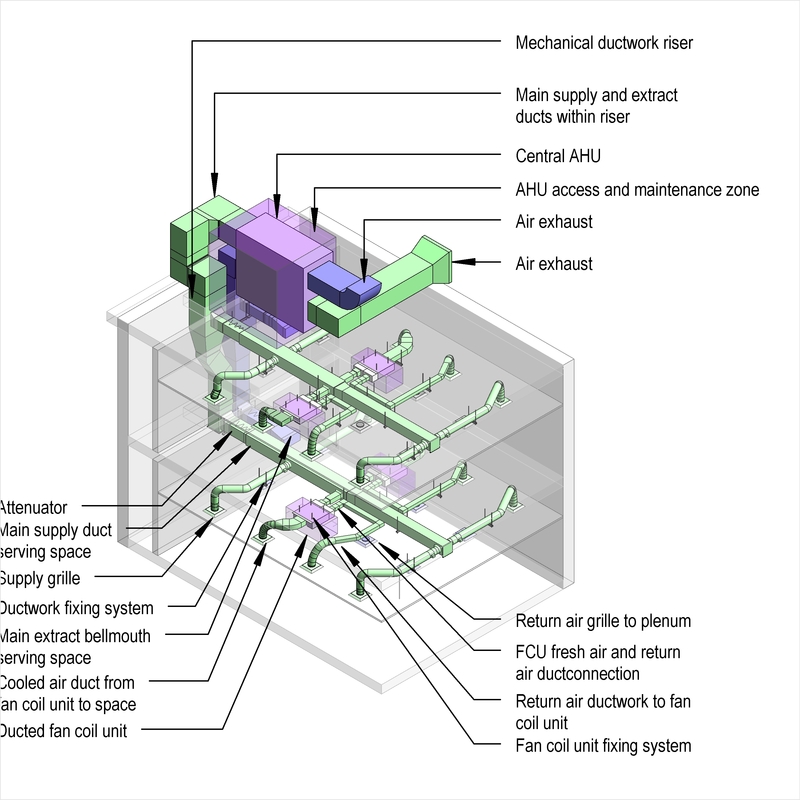 Air handling units Products such as Supply air handling units. Silencers and acoustic treatment Products such as Air transfer and cross talk attenuators. Air ductwork and accessories - Ductwork Products such as Circular plastics ductwork and fittings. Thermal insulation on supply air ductwork Products such as Mineral wool duct metal mesh faced mattress insulation. Vibration isolation mountings Products such as Compression isolators. Reheaters Products such as Supply air handling units. 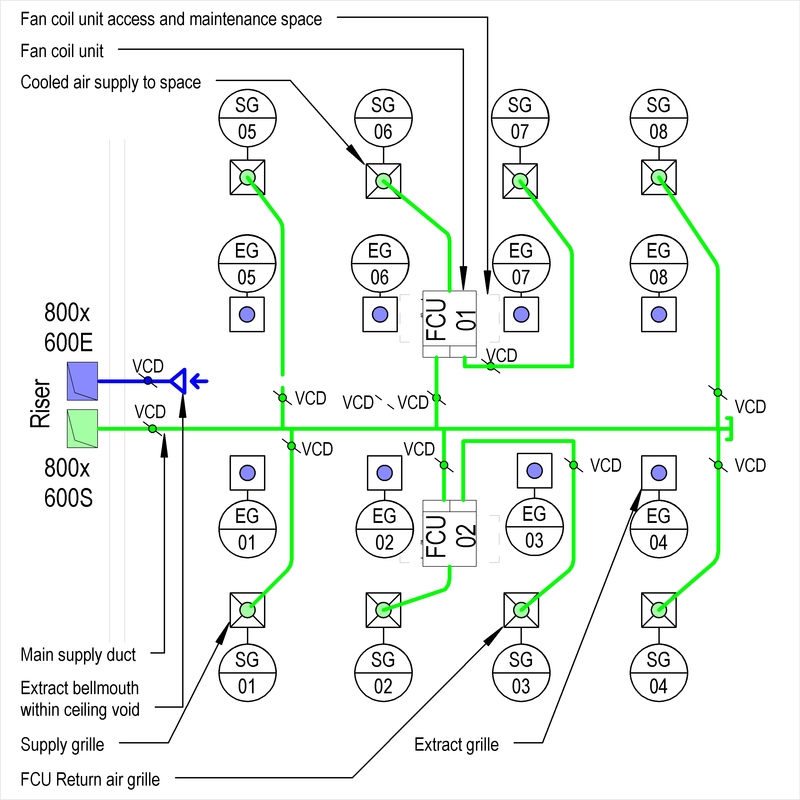 Cooling coils Products such as Supply air handling units. Room supply air terminals Products such as Fan coil units. Condensate pipelines Products such as Copper pipelines. Controls Products such as Fan coil unit air conditioning control systems. Testing The Testing of the Fan coil unit air conditioning systems.